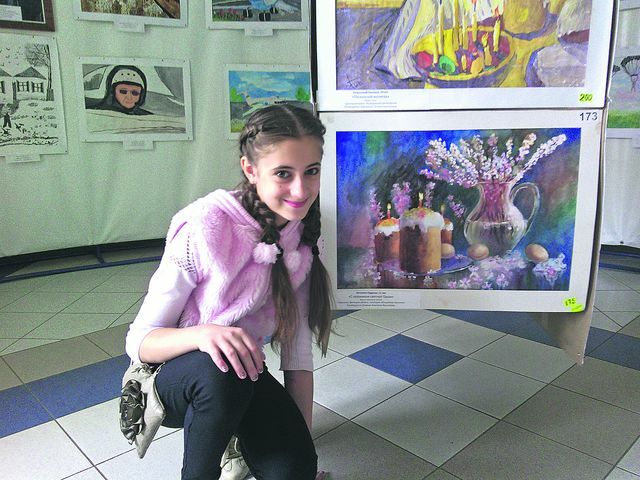 Although Kharkiven Evdokia Bogacheva is only 12 years old, her paintings were demonstrated at solo exhibitions and won in the prestigious competitions. 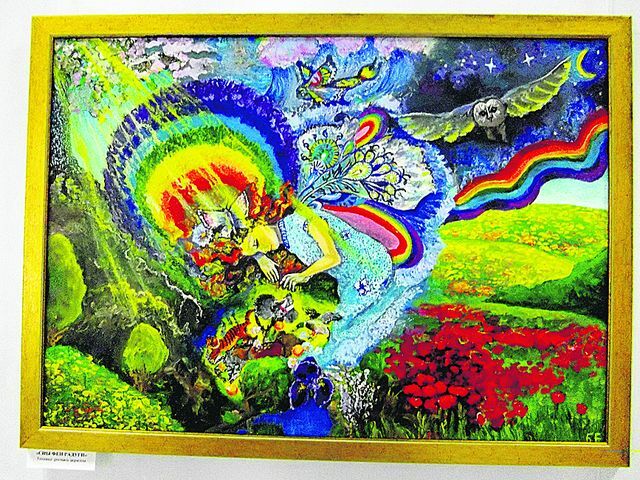 Recently, her work was recognized as the best in the competition of the United Nations in Europe for which the young painter will be awarded the prize of one thousand dollars. Interestingly that earlier Evdokia didn’t like to paint and was fond of rhythmic gymnastics. But when she was 7 she took a sheet of paper and pencils and started painting. Now Evdokia works as a graphic artist and as a painter using a variety of materials. But she prefers acrylic paints of bright colors. Her favorite topics are fantasy, animals and nature. 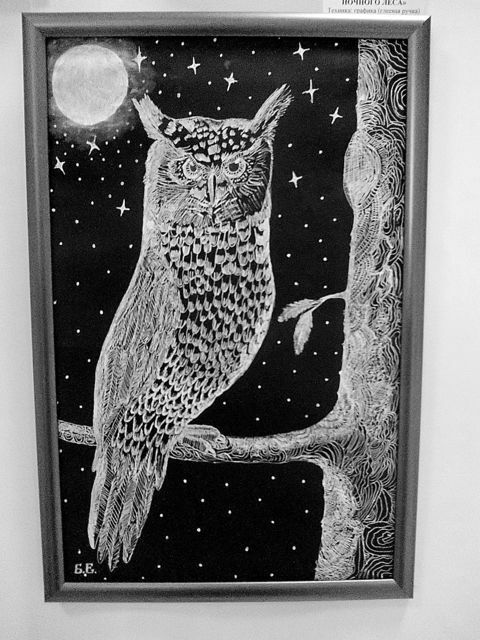 Evdokia rarely makes sketches and draws her ideas immediately on canvas. She cultivates her imagination with films and books. Her favorite works by Oleg Roy, as well as the film “Eragon” and films about Harry Potter. The young painter can spend all day in front of the easel. The pictures of Kharkiv girl were demonstrated at solo exhibitions and annually participated in competitions not only in Ukraine but also in Russia, the United Kingdom and other countries. In 2013 Evdokia Bogacheva took third place in the contest of children’s drawings conducted by the World Federation of Aerostatics in Switzerland. And this year she became a regional European winner in the international competition organized by the UN on the protection of the environment. For the first place on this stage the girl will receive a prize of one thousand dollars. Now Evdokia’s painting is in the regional headquarters of the UN in Geneva and it will fight for the world victory. 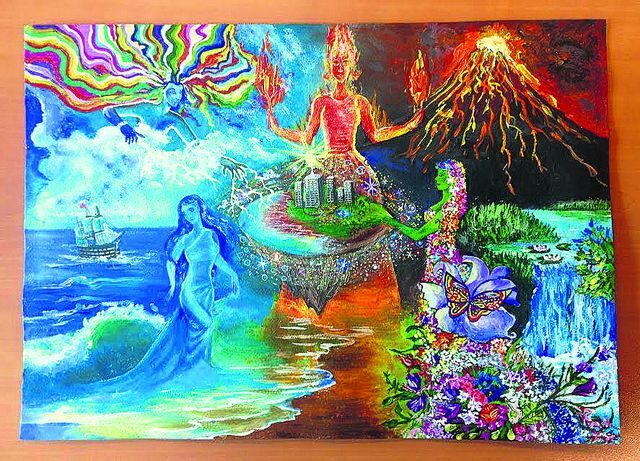 The painting is called “Elements, giving energy to the future development of mankind”. In this work Evdokia showed that human can’t live without fire, water, earth and air.